This New Year was special, for Kalibari completed 50 years of its foundation in the city on Monday. BENGALIS IN the tricity celebrated the New Year or Noboborsho/Poila Boishak with traditional fervour at Kalibari in Sector 47, Chandigarh, on Monday. This day also marks the beginning of the Bengali financial year. According to the lunisolar calendar, it is celebrated on the first day of Baishak. 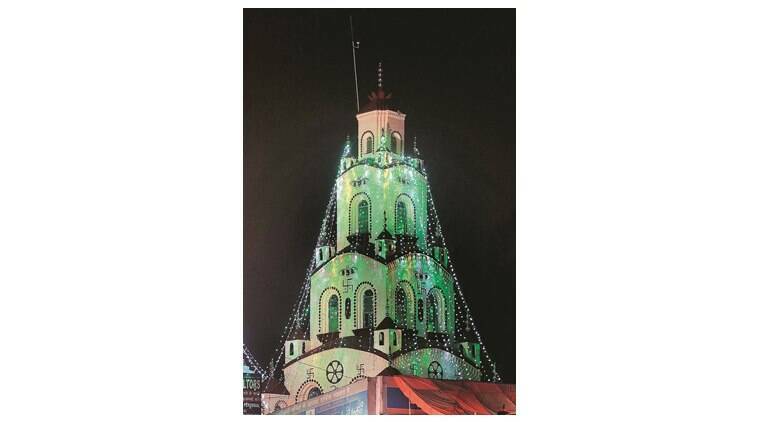 This New Year was special, for Kalibari completed 50 years of its foundation in the city on Monday. It celebrated its Golden Jubilee by carrying out special Kali Puja, Chandipath, pushpanjali, yagya and sandhya aarati. The temple was chockful as thousands of devotees from the tricity took part in the special ceremony. Various performances and plays by artistes from West Bengal added to the festivities. ‘Poila Boishak’ marks the perfect time for a family reunion and exchange of gifts and sweets. Homes are decorated with alponas (rangoli), and mango leave garlands are put up at the main entrance. Special meals were prepared where something bitter like shukto is served first while ‘payesh or malpua’ is served the last. The meal is incomplete without a traditional fish preparation. “I came all the way from Kolkata to participate in the Kalibari’s golden jubilee. For me, its a family reunion. We prepare special food and exchange sweets. From getting ready for this day by draping the traditional sari to offering prayers for good beginnings, we do everything to make this occasion special,” said Mum Mum. “I am fortunate enough to be a tiny part of this unforgettable moment. I am grateful to all those people who have made this institution an epitome of oneness,” said Rajesh Roy, general secretary of the Kalibari association.